2001 Ford Windstar transponder key blank. 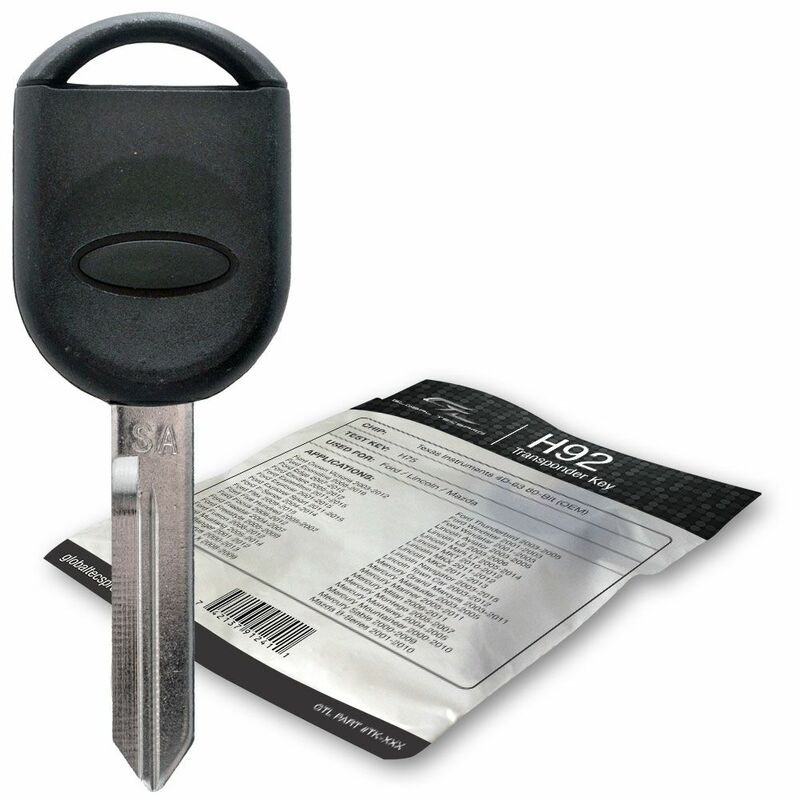 This Ford transponder chip key for your Windstar minivan must be cut and then programmed by your local Ford dealership locally, car locksmith or local hardware store. This 2001 Ford Windstar key blank must be cut to duplicate your current car key in order to fit the door locks and ignition switch on your vehicle. Please note that also, your Ford must be trained or programmed to recognize the transponder chip key. In order to prevent possible theft and enforce security, they will most likely request proof or ownership for your vehicle. Most dealers would accept one of the following documents: car title, vehicle registration or your car insurance declaration page to make sure you are the owner or a authorized user of this vehicle. This 2001 Ford Windstar key does have a transponder chip in the head of the key. It will need to be cut and programmed to you car, before you can use it to start your engine. It can easily be programmed by a local car locksmith or dealer service department.